United Club member Josh Freeth today became the Under 21 Golf Croquet World Champion beating Egyptian Marwan El Sabarouti. The best-of-three final went to the wire with scores of 5-7, 7-6, 7-6. Josh was 4-6 down in the last game but managed to score the final three hoops to win. 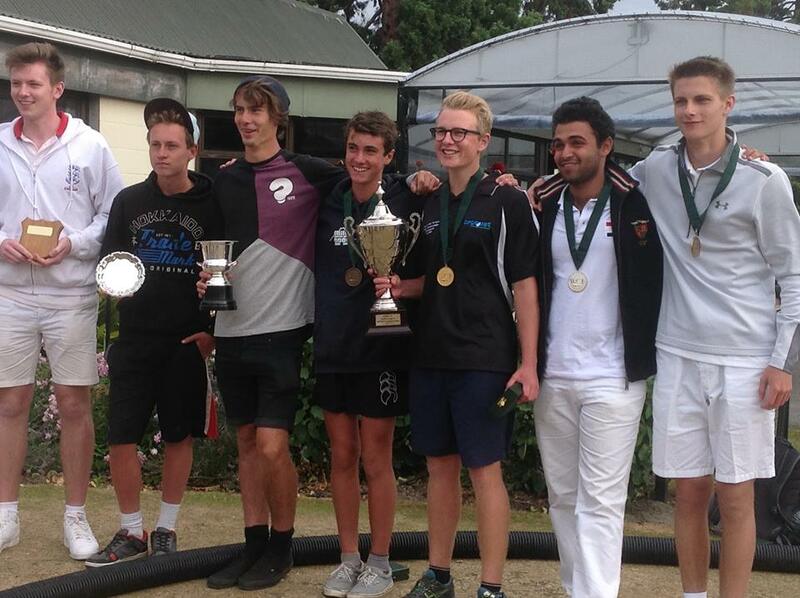 Josh and Marwan qualify to play in the Golf Croquet World Champs held in Bay of Plenty 7-15 February 2015. The championship was held at United Croquet Club 1-5 February 2015. Many thanks to Gordon Smith for managing, Chris Clarke for preparing the lawns, including 6:30am starts setting hoops, Lena Metcalf and her team for Tuesday’s meal and the daily BBQ, and many other helpers. The first Under 21 GC World Championship was played in Cairo, Egypt in 2009. This was won by Duncan Dixon. The second championship was played in Hunstanton, England in 2011 and was won by Moustafa Nezar of Egypt.